My Guerlain Bloom of Rose is a perfume full of optimism, as evidenced by the few cliches associated with it. They reveal to us the images of the seductive Angelina Jolie, the brand’s face since 2017. On this occasion, a beautiful brunette poses in a large dress, playing with her hair and looking mischievously towards the “horizon”. 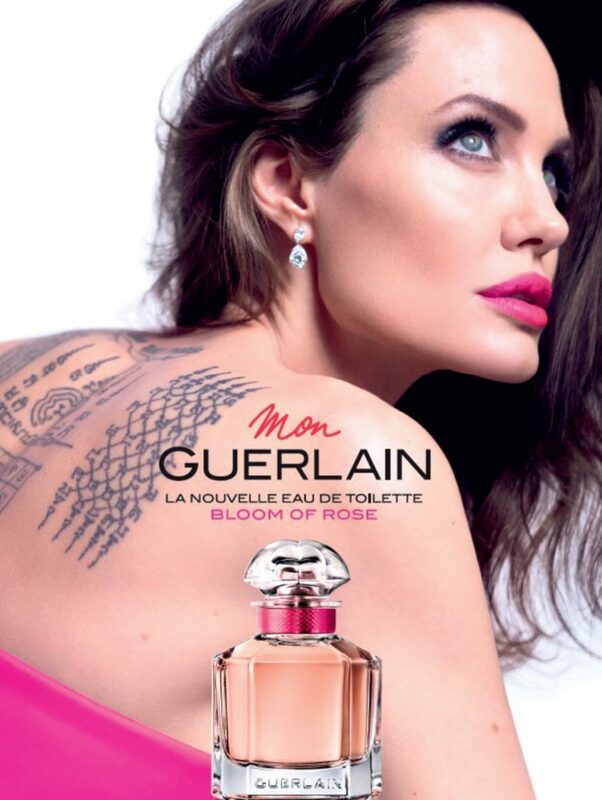 On the poster of the new Mon Guerlain Bloom of Rose, Angélina Jolie does not hesitate to show her tattoos proudly and to color her lips with a more lively bright rose. The message can not be clearer. My Guerlain Bloom of Rose is not only perfume. It is the epitome of the philosophy of life and encourages every woman to live the way she likes and to please her first and foremost. My Guerlain Bloom of Rose seems to have a slight aftertaste of rebellion. This composition celebrates the pleasure of being faithful to yourself. From the aroma side, Mon Guerlain Bloom of Rose owes its existence to the exclusive perfumer of Guerlain, Thierry Wasser, and his longtime acolyte, a talented Delphine Jelk. Both decided to preserve the presence of Carla’s lavender in the top notes of this composition. 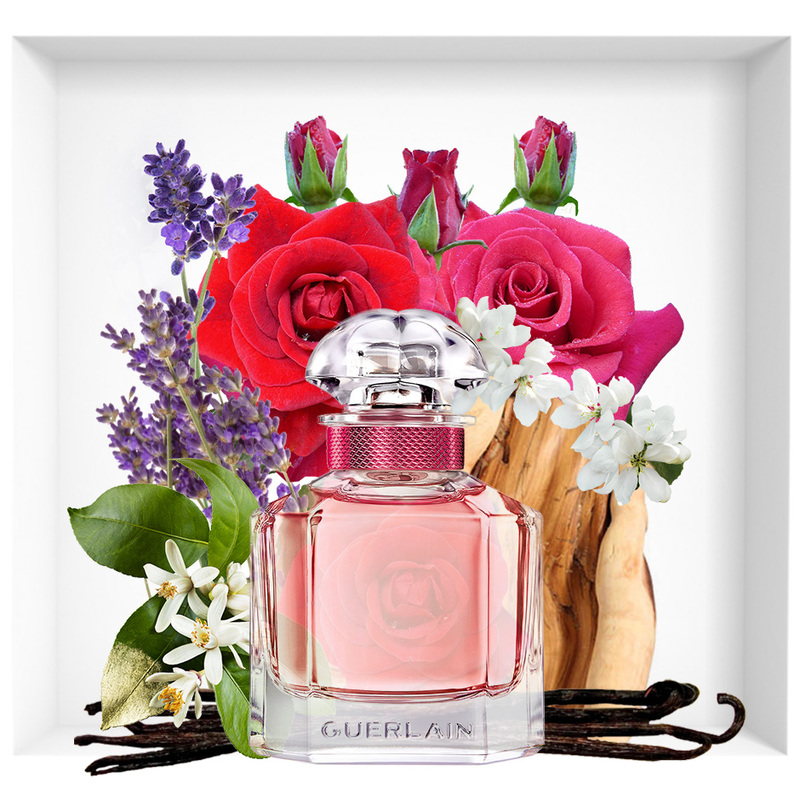 Indeed, this Mediterranean plant is the hallmark of the Mon Guerlain collection since its premiere. Here it is illuminated with citrus fruits and emits a fiery dynamic. Nevertheless, the main ingredient of this perfume is the Bulgarian rose. 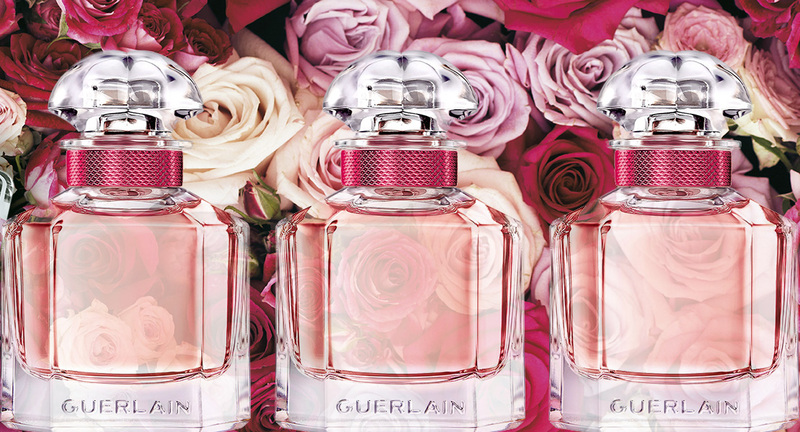 In the heart of my Guerlain’s Bloom of Rose is enriched with jasmine sambak and neroli. My Guerlain Bloom of Rose is exotic in contact with Tahitian vanilla. His recipe ends with a creamy, rich sandalwood trail.